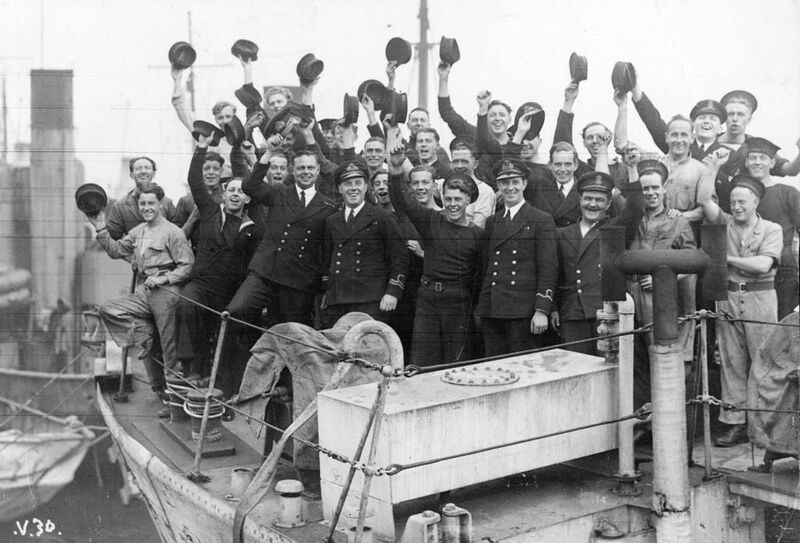 Lieutenant Douglas Ford RNVR, officers and men of the trawler HMT Acacia (launched 1940) at Fountain Lake Jetty, Portsmouth, on VE Day 1945. This Officers and Men of HMT Acacia on VE Day Art Print is created using state of the art, industry leading Digital printers. The result - a stunning reproduction at an affordable price.